I certainly wasn’t expecting to attract the diverse range of wildlife which I’d managed to attract to my old garden. After all, this was a windswept balcony, situated halfway up a block of flats in the inner-city. Foxes and hedgehogs are good climbers. Frogs are good jumpers. But not that good. However, butterflies, bees, bats, birds and many other insects do have wings. And when you have wings there is always the potential to discover and make use of the most unlikeliest of habitats. And if that “unlikely habitat” offered the right sort of food, water, and shelter to a passing butterfly, a curious robin or a nectar-hungry bumble bee, would they really care or even notice? Judging by the number of times I’d seen ladybirds sunbathing on my balcony, I didn’t think so. But, if I wanted those same ladybirds to stay and thrive on my balcony then I needed to supply them with food in the form of aphids. 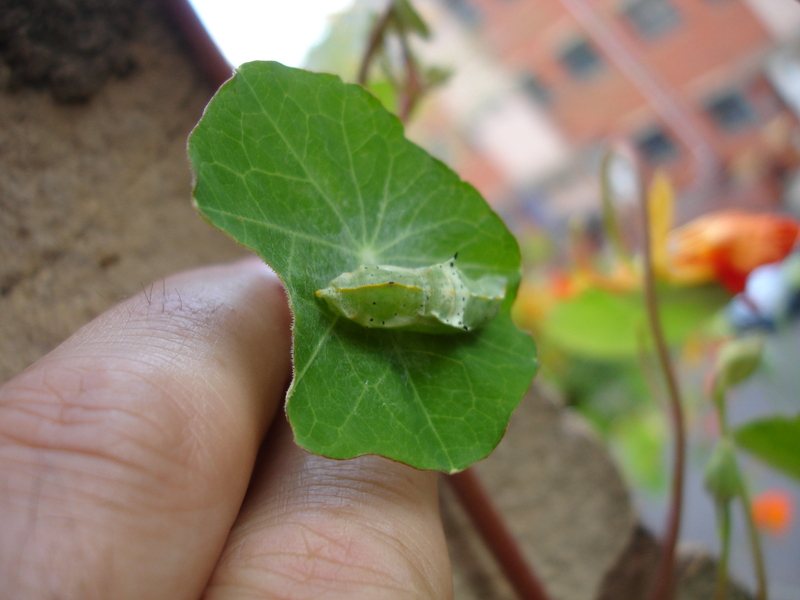 Of course, that also meant providing the aphids with food too – in the form of juicy plants to feed on. 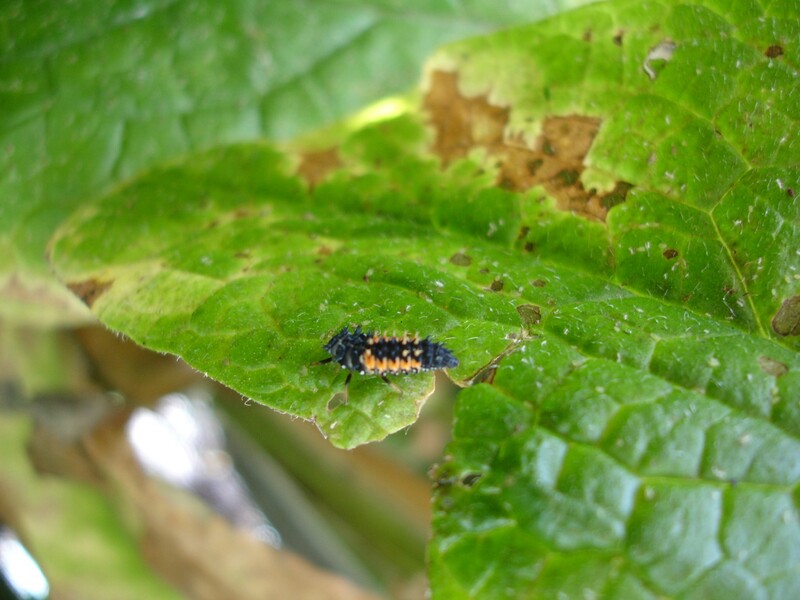 Ladybird larvae feeding on aphids who are feeding on the comfrey plant! Whilst aphids are often seen as a “pest”, in most conventional gardens, in a “wildlife friendly” garden there are no such things as “pests”. Every single creature is but a potential source of food for another creature higher up the “food chain”. Pesticides disrupt nature’s “natural balance” by killing the very creatures which would eat the so called “pests” in the first place and so have NO place in a “wildlife friendly” garden. 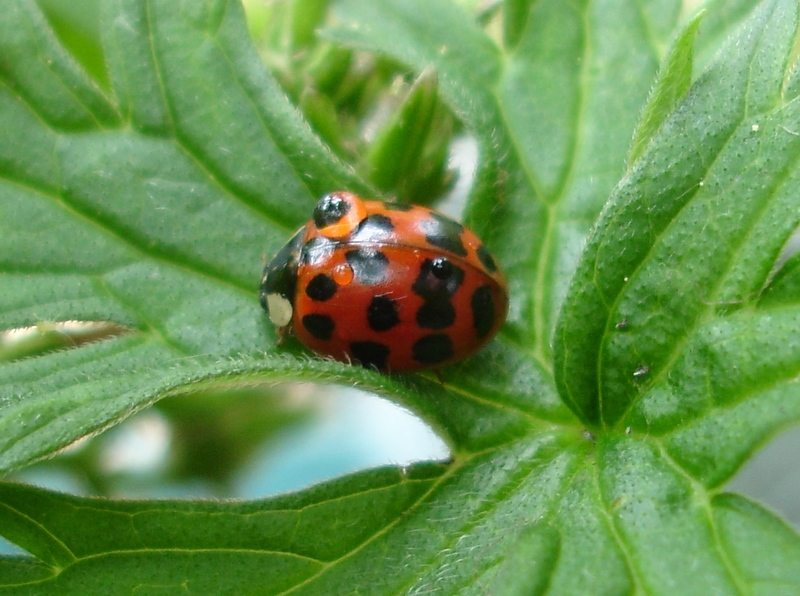 Most healthy plants will survive the sap-sucking antics of aphids. However, ladybirds, hoverflies and any other wildlife fed on a diet of “poisoned-soaked” aphids, won’t. With these considerations at the forefront of my mind, I was confident that if I adopted an organic “no kill” approach, introduced a range of native and nectar rich plants, together with other sources of food and shelter, then there was no reason why the balcony shouldn’t attract a steady stream of “wildlife visitors”. – with some even choosing to stay! 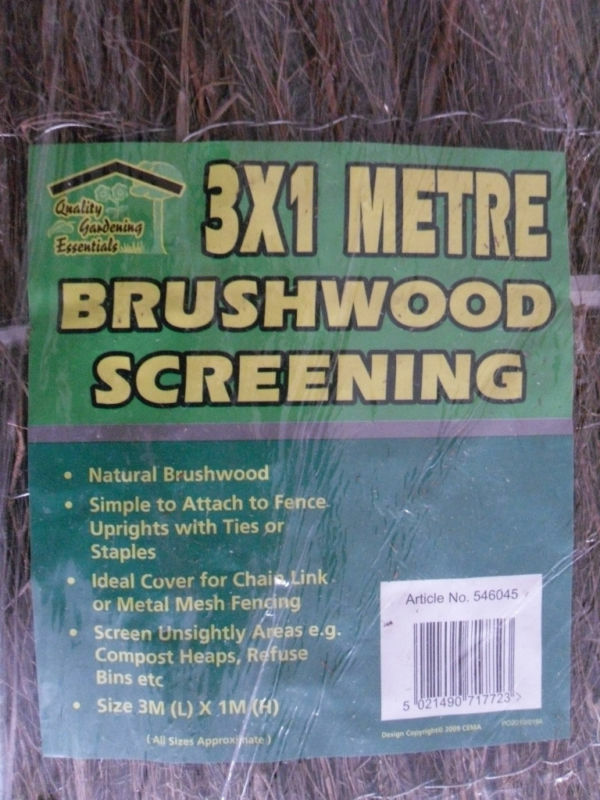 Brushwood wind-screening. Also available in bamboo, willow and reed . A southerly facing balcony will get the maximum amount of sunlight and allows for a very broad range of plants to be grown – ideal for herbs and meadow flowers. A westerly facing balcony should also receive quite a lot of direct sunlight and offers a good range of plants to choose from, too. A north facing balcony won’t usually receive any direct sunlight and is usually heavily shaded. If your balcony(or window-box site) faces north then the range of plants is going to be limited to those which are shade tolerant. Don’t despair, though, as there are still quite a few “wildlife supporting” plants (such as Ivy) which will thrive in such an area – and there are birds(and bats) which actually prefer to use north facing boxes. I’ll come back to “ideal” plants for the 4 different aspects, later in my blog. Fortunately, my balcony faced eastwards and wasn’t overshadowed by any nearby buildings. In the summer this meant that I was getting direct sunlight from around 8am til around 12 noon. This was ideal for the early morning, nectar-foraging insects and allowed me to have an “al fresco” breakfast whilst watching the bees and hoverflies have theirs! Knowing that in good weather I’d be getting around 4 hours of direct sunlight, daily, allowed me to experiment with broad range of sun and semi-shade loving plants, though “dark spots”(around the balcony’s floor) meant I also needed to incorporate some shade tolerant plants too. Of course, before getting any plants I needed to decide what I was going to plant them in to. I figured that as I was planning to add lots of biodiversity to the balcony then I might as well do it by the bucket load. Literally….